Rezurrection Pack out now for 360, plus new game demos! Today marks the release of the 360 version of the Rezurrection map pack, which features all of the World At War Zombies maps as well as the brand new Moon Map. The pack will cost 1200 MSP ($15), and the Moon map is free for those who purchased the Hardened or Prestige edition of Black Ops. Everyone who buys the pack will also receive a theme for the dashboard and the soundtrack to the Zombie maps. 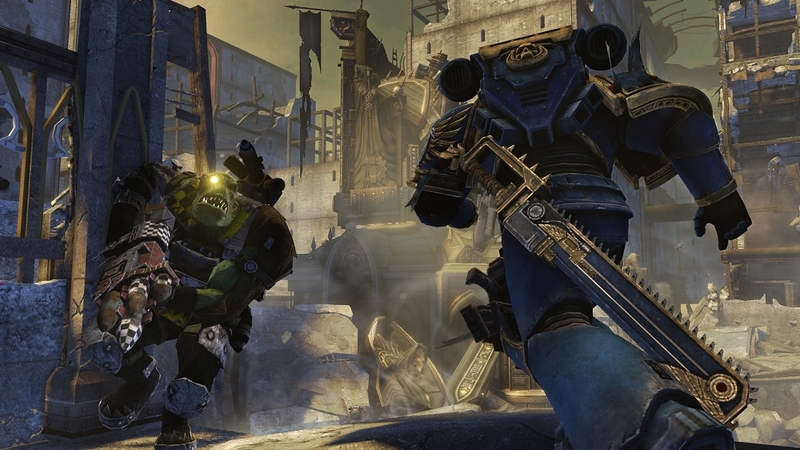 For those that want some free fun today, you can check out the demos for NHL 12 and Warhammer® 40,000®: Space Marine. Check out all this cool stuff below! "ENGLISH VERSION: Lift off into the latest Zombies epic with "Rezurrection," the new content pack for "Call of Duty: Black Ops," and the first to launch players into space! Old school Zombies strategies get blown out of the airlock in "Moon," where armed with new perks and a space-age arsenal of weapons, our heroes must overcome undead astronauts and fluctuating gravity as they unearth conspiracies that began in 1943. Rounding out Rezurrection are the 4 maps that spawned the Zombie phenomenon: "Nacht der Untoten," "Verrückt," "Shi No Numa" and "Der Riese."" "Download the Space Marine Demo and step fearlessly into the heart of combat as Captain Titus of the Ultramarines, unleashing visible violent death against the enemies of mankind in the first 3rd person action shooter set in the dark future of the Warhammer 40,000 universe. Storm into battle and use a combination of the most lethal ranged and melee weapons against the feral Orks and insidious forces of Chaos. Experience the awe inspiring landscapes and immense battles of the Warhammer 40,000 universe." "Experience the glory of becoming a legend with NHL® 12 by shattering the records of some of the greatest to ever play the game, including Gretzky, Lemieux, Howe, and more. Playing as a legend or with your created pro, earn time on the ice with stellar play, big hits, and spectacular goals, then simulate the action to your next shift so you’re always on the ice. The franchise that has won 22 Sports game of the year awards brings to life the skill, aggression, and authenticity of hockey with the all-new Full Contact Physics Engine, Anticipation AI, the NHL Winter Classic®, Be a Pro revamped and Dynamic Goalies."